When it comes to your WAHM business, you need to be as innovative, productive, and forward moving as possible. There are many tools that you can utilise in order to be as creative as possible. Mind mapping is one of those tools. 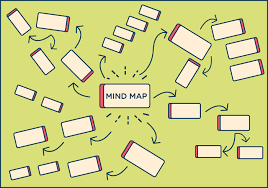 First, let’s examine what mind mapping is. Mind mapping is a way of brainstorming on paper. It is extremely beneficial as it is a visual tool that stimulates creative thinking preparing you to organise, evaluate, and analyse data you create for your business ideas. It is sort of like brainstorming with yourself on paper. To begin with, you place a key word in the cent0er of the paper that is a sort of main character in the mind mapping system. Next, you branch out ideas from that internal word and continue to branch out new words in a circle around that original word or theme. Mind mapping offers several benefits. For one thing, mind mapping is a visual tool. It helps you to organise information, create new concepts and themes while stretching your imagination, and offers the possibility of analysing and visualising ideas on paper in a new and creative fashion. As you can see, mind mapping is a very useful tool for assessing your strengths, weaknesses, opportunities, and threats.